SHARPS Begins Sit-in As Samsung Walks Out Of Arbitration Talks | Stop Samsung - No More Deaths! SHARPS and its supporters began a sit-in in front of Samsung Electronics Co., Ltd.’s corporate headquarters in central Seoul on Oct. 7 as the world’s largest technology company said it would put negotiations with an arbitration body aimed at finalizing demands by victims of the company’s occupational disease cluster on hold until further notice. Samsung was shifting the blame to SHARPS. The purpose of the talks was to further refine the Committee’s recommendations. Most egregiously, on Sept. 18, the company circumvented the arbitration process and launched its own compensation framework within criteria much watered down from the Committee’s recommendations. There are two major points of contention between Samsung and SHARPS. 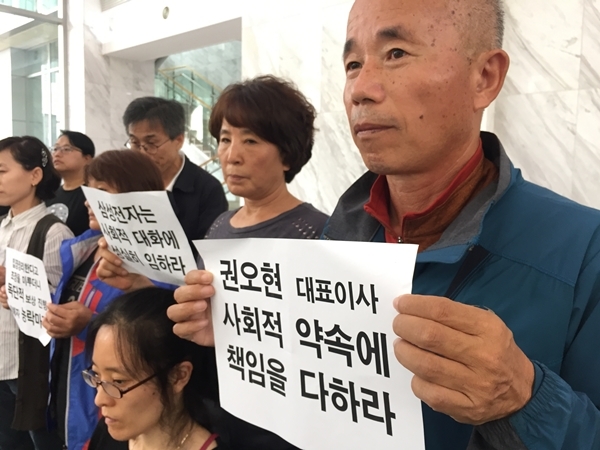 First, Samsung said it would set aside KRW 100 billion (U$1 billion) for victim reparations. However, that amount alone is unlikely sufficient to compensate even only the 293 victims profiled by SHARPS—and those yet-unaccounted for. And second, Samsung remains adamant against instituting a publicly verifiable audit and inspection system for worker safety. 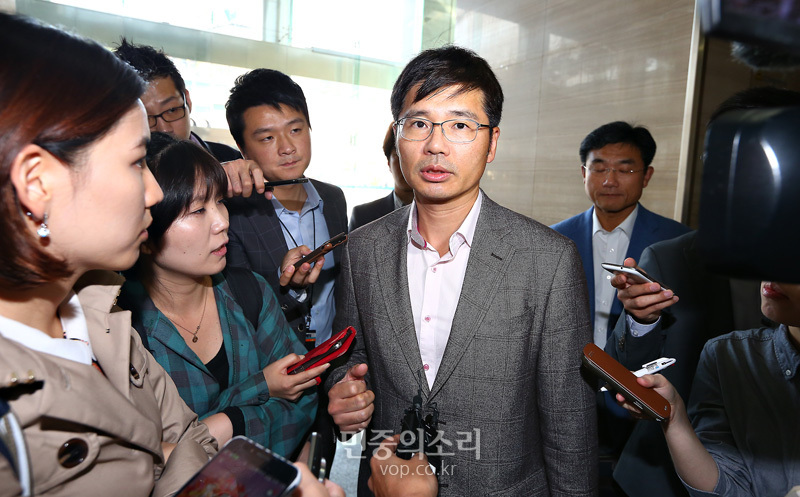 After scuppering the negotiations, Samsung appears intent on paying its way out of the occupational disease crisis by offering some victims token compensation. This would be a feasible plan because Samsung could potentially exploit divisions in the campaign to undermine SHARPS and delude the public. The Settlement Committee was absent from the last talks with the Mediation Committee although it first proposed the formation of an independent arbitration body. on February 18, 2016 at 2:06 am | Reply Samsung Steps Up Smear Campaign Against SHARPS And Cluster Victims | stop samsung - no more deaths! on April 1, 2016 at 2:28 am | Reply South Korean Administrative Court Seen Misjudging the Impact of Carcinogens Used At Samsung | stop samsung - no more deaths! on November 2, 2018 at 10:57 am | Reply Samsung to Compensate Infirm workers from 1984 Onward, Arbitration Proposal Demands | Stop Samsung - No More Deaths!